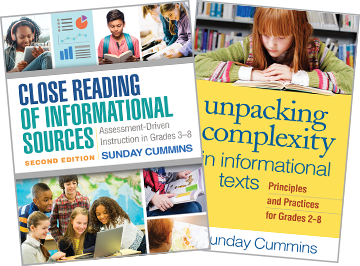 Sunday Cummins, PhD, is an independent literacy consultant who lives in Chico, California, and consults nationally. Formerly she was Assistant Professor of Education in the Reading and Language Department at National Louis University and a facilitator for the New Schools Project at the Erikson Institute in Chicago. Before becoming a professor, Dr. Cummins worked in the public schools for 10 years as a middle school and third-grade teacher and as a literacy coach. 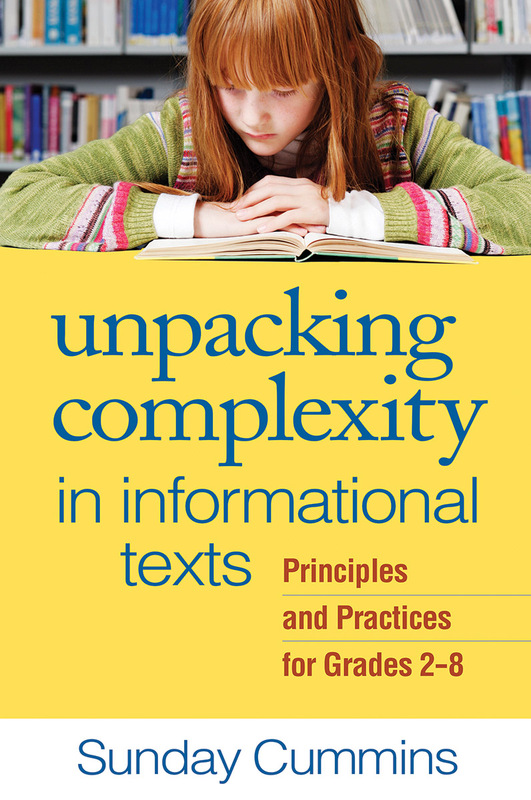 She is the author of Close Reading of Informational Texts as well as articles in The Reading Teacher and Talking Points, and shares her work on teaching with informational texts by presenting at state, national, and international conferences. Her website is www.Sunday-Cummins.com.